Google CEO Eric Schmidt has announced plans to launch the free Google TV service to a television screen near you US viewers this autumn and around the world next year, as the company move from small screen to large screen. Speaking in Germany at the consumer electronics trade fair in Berlin, Mr Schmidt said that Google will be bringing full web browsing and access from the tv for no cost, working with providers to bring the service to your television. He said:- “We will work with content providers, but it is very unlikely that we will get into actual content production”. Already onboard are electronic giant Sony, who will send out tv’s equipped with Google TV, and Samsung along with othercompanies are also looking to incorporate the service. It is a timely announcment as rival Apple have just released the latest Apple TV product in a bid to grab the online tv market. Schmidt also revealed that Google will be announcing partnerships later this year with makers of tablet computers that will make use of Google’s Chrome rather than the mobile Android operating system. The moves are part of Google’s search for new revenue opportunities as internet growth diminishes. Google TV will make life so much easier, just search by name for a movie or show, and you can watch a tv channel or stream from the Web. The cable companies want to give tv online but charge us all the way, whereas Google’s approach to the Internet is more open. Google TV can act as a full Web browser for Flash videos, e-mail and reading, and users can set up home screens for their favorite channels, shows and Web sites. In fact, i am looking forward to new Google TV ,Apple TV just can be applied on IOS devices, i expected some new stuff brought by other system but IOS. 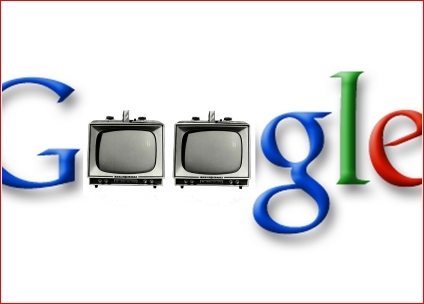 i think the new google TV is a hope . And that the apple TV is too simplistic to runs many applications . for example, even if the users can download movies from Netflix, they can not use Vimeo; can see the pictures on Flickr, but can not see on Facebook or SmugMug;can play HD mp4. videos , can not play any other kinds of videos so that i must rely on Aneesoft video converter.